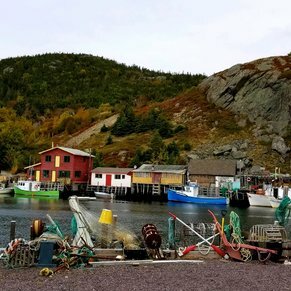 Adventurous travelers will cherish their experience in St. John's, the capital of Newfoundland and Labrador. If it's art and culture you seek, you'll find it in spades, with options ranging from Atlantic Canada's largest university to the Newfoundland Symphony Orchestra. Hikers and bikers can make the most of St. John's expansive walkways and bike trails, framed by placid and scenic countryside. Our HAL tour, Old St. John's & Cape Spear was wonderful. It lasted about 3 1/2 hours. We took a panoramic drive through the city then visited Signal Hill where the first trans-Atlantic wireless signal took place in 1901. The day we visited it was extremely windy. We had to hold on tightly to our hats and sun glasses. Then we traveled to Cape spear and had time to tour on our own. We visited the old lighthouse. It was a bit of a climb. I had time to walk down to the water for a lovely view of the waves hitting the rocks below. 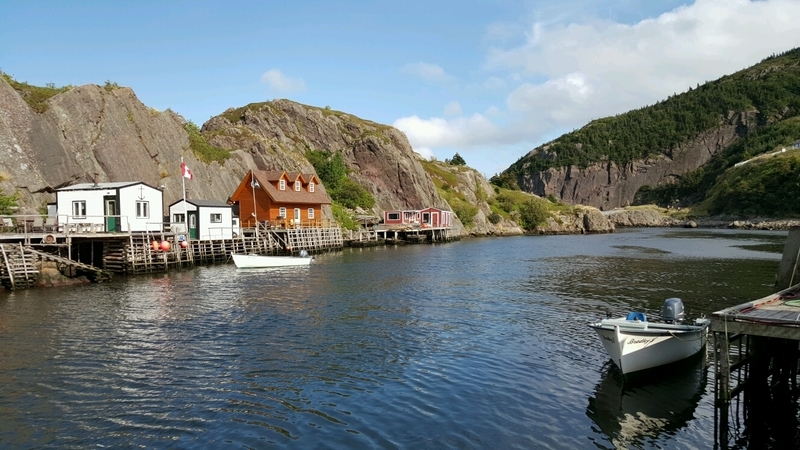 Before returning to the ship, we stopped briefly at a very picturesque fishing village, Petty Harbour. We were very surprised with how much we enjoyed St.John's! 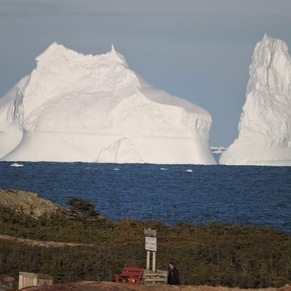 Newfoundland was a real surprise overall. The people, the scenery, the vibrant city, the history, the food, all of it was just right for me and my fiancé. Again, we hired local, and Frank our guide, gave us "HIS" St.John's. Asides from Signal Hill, and Cape Spear, everywhere else we went felt like it was just there for us. No buses and very few people. We had a great lunch at Chess's, perhaps the BEST fish 'n chips of the whole trip. We walked Fort Amherst, a beautiful local park, Bowring Park, had some great little side adventures and were back into the dock are with an hour to spare. It was a great day. Again, another place I would visit in a heartbeat. What a greeting and send off by the people of St. Johns, our ship was the largest ever to dock here. We walked this port. Definitely see the Rooms and walk to Sigmal Hill and stop at the Canadian Forces Tattoo if you are there on a day it is done. 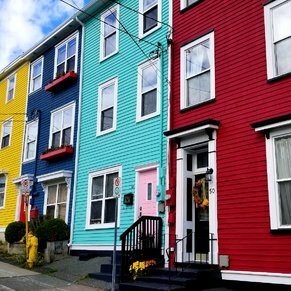 There are currently 4 discussions about St. John's, Newfoundland.